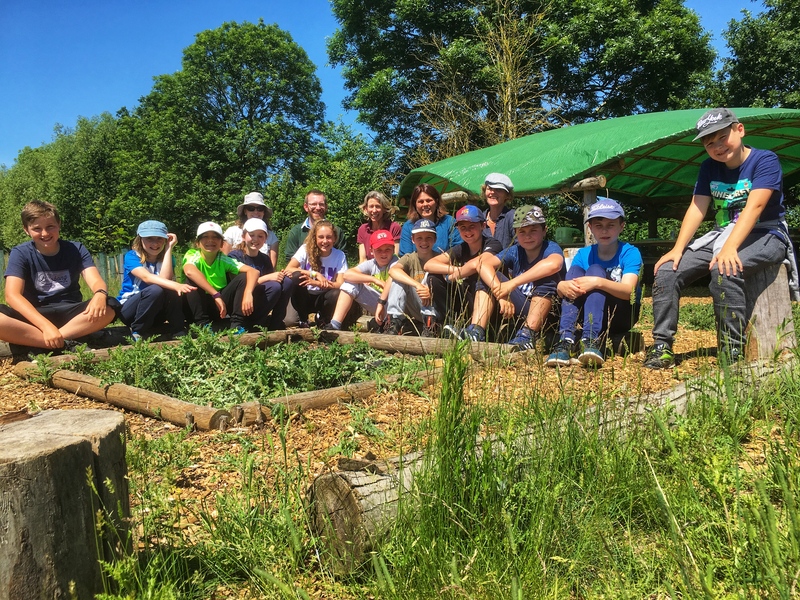 Forest Schools for All is a bold new education project for Sylva Foundation, in partnership with the Forest School Association, and The Ernest Cook Trust, which is also the main funder of the project. The three leading environmental education organisations have come together with the ultimate aim of increasing and sustaining access to Forest Schools for all children. Celebrating the announcement of ‘Forest Schools for All’ during a Forest School session at the Sylva Wood Centre: Simon Gould (Director of Learning, Ernest Cook Trust), Jen Hurst (Education Manager, Sylva Foundation) and Sarah Lawfull (Director, Forest School Association). For the next two years we will develop and test new approaches across three English countries—Buckinghamshire, Gloucestershire, and Oxfordshire—with a view to rolling these out at national scale across England (and perhaps the UK) with more partners, support, and funding. The project will start in summer 2018 with the first national online survey of Forest Schools. We aim to provide much-needed evidence about the barriers and opportunities to establishing and sustaining Forest Schools. The survey outcomes will also help us measure project progress. In the first two years of this project, Buckinghamshire, Gloucestershire and Oxfordshire will be focus counties. Supported by national survey results, we will develop pilot projects in these counties, aiming to overcome barriers to establishing and sustaining Forest Schools. The three counties will aim to become national examples of Forest School excellence by having a high quantity and a high quality of Forest Schools through the FSA-recognised provider scheme. The Ernest Cook Trust will create England’s first ever dedicated grants programme for Forest Schools and Woodland Owners. These small grants will be critical drivers of the project by providing much needed contributions towards the costs of Forest School Leader training, and also the costs of Forest School site development in school grounds or private woodlands. To achieve and sustain the national strategic ambitions of the Forest Schools for All project we will invite public, private and charitable organisations, and individual stakeholders, to share in this exciting vision. Forest School is a unique approach that gives young people increased contact with, and knowledge of, the natural world, and a powerful process that enables the holistic personal development of young people. Since 1993, regular Forest School sessions have become part of the mainstream timetable in thousands of schools across the UK: they are very popular with parents, teachers, children and Ofsted. More details about the six Forest School principles of good practice can be found at: https://www.forestschoolassociation.org/full-principles-and-criteria-for-good-practice.